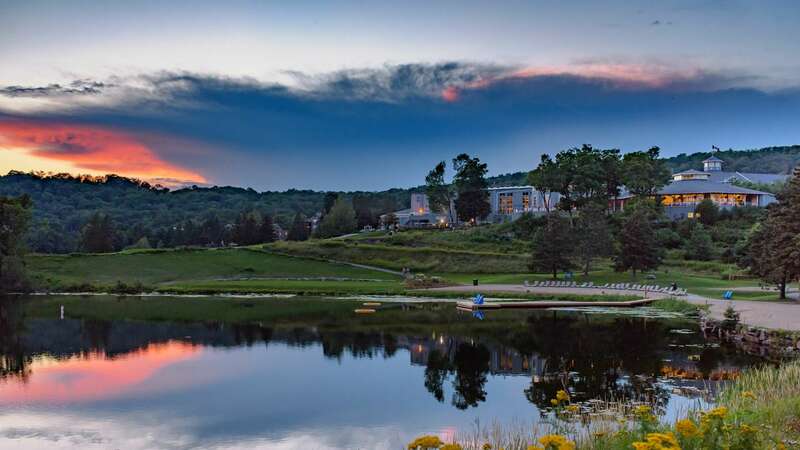 Canada Summit Centre – Huntville, Ont. 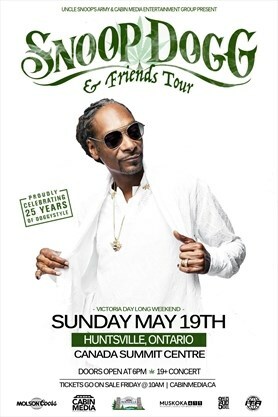 Rapper and actor Snoop Dogg is coming to Huntsville at the Canada Summit Centre on Sunday, May 19, with special guests Warren G, Kurupt, Daz (Dogg Pound) and more. Tickets sold separately at: www.cabinmedia.ca. Shuttle times to be advised. Must be 19yrs or older. *Rate is per room, per night, based on double occupancy (two adults per room). Rates shown are applicable to select accommodation, and may fluctuate based on dates and availability. Minimum stays and blackout dates may apply. A limited number of rooms are available on this offer. Cannot be combined with any other discount, promotion or group rate. 13% HST, 4% Municipal Accommodation Tax (Huntsville) and resort fee are additional.